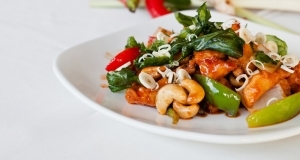 Thai Moom restaurant at Orpington, believe that the creation of the finest meals begins with the best selection of ingredients. So our chefs take to acquire the best produce available locally and the finest spices from around the world! 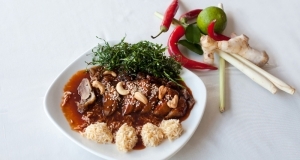 We offer a wide selection of innovative dishes, along with many traditional and old favorites. Here you can enjoy verities of curry items, Bangkok special dishes, Tapas, huge range of mouthwatering desserts with wide selection of wine to compliment the cuisine and your taste. Our guests can also enjoy Thai Moom special A La carte menu along with Sunday special buffet! You can eat as much you like during our Sunday special buffet lunch. 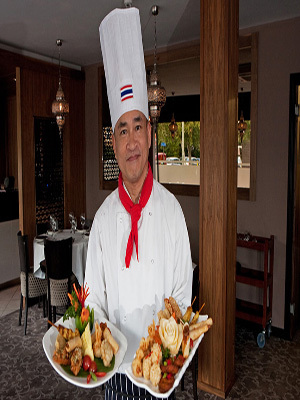 Thai Moom located in Petts Wood, Orpington, offers the perfect location for a business lunch or an intimate evening out, where you can relax in our comfortable and stylish dining room. Our team of chefs is some of the most celebrated chefs of their generation; each chef is a specialist in their own field who ensures fulfillment of your taste bud. Thai Moom is the winner of Certificate of Excellence-2013, awarded by Tripadvisor. We are open from Monday to Sunday at Queensway Petts Wood, Orpington, Kent. For any query please call or leave a message to contact with our administrator. To enjoy food at Thai Moom, visit us or reserve a table to make your special events more than perfect with us.